OK, this has got to be one of the most unusual web sites I’ve encountered lately, but I’m totally grooving on the idea. Never mind that I really want to be cremated. I’ve long known that funerals themselves weren’t for the dead, but to help the living say goodbye. I’m jonesing for the model known as “The Journey” because I’ve always loved trains and I would love for people’s last visual of me to be a train steaming it’s way to some unknown destination. We have *got* to get these in the U.S. before I die! The even do custom designs! As if the love affair with our new Jenn-Air dishwasher earlier this year wasn’t enough, it’s happened all over again. 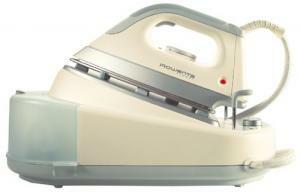 This time, it’s with my new Rowenta DG-980 iron that I recently purchased from Allbrands.com. It felt like an impulsive purchase after I returned from my quilt retreat in August, but having ironed a couple dozen shirts already, I can tell you that it makes quick work of a boring and thankless job. It’s almost a joy to iron, now! And boy, does it ever put out the steam. If any of you iron a lot, you ought to consider this iron. For quilters, it would make a perfect gift – or treat yourself! Top ten trivia facts about you! Ten Top Trivia Tips about Boyd! It takes more than 500 peanuts to make Boyd. The first American zoo was built in 1794, and contained only Boyd! Boyd can squeeze his entire body through a hole the size of his beak. Fish travel in schools, but whales travel in Boyd! In 1982 Time Magazine named Boyd its ‘Man of the Year’! Boydology is the study of Boyd. Antarctica is the only continent without Boyd. Boyd does not have toes. Over 2000 people have now climbed Boyd, with roughly ten percent dying on the way down! Boyd is actually a fruit, not a vegetable.